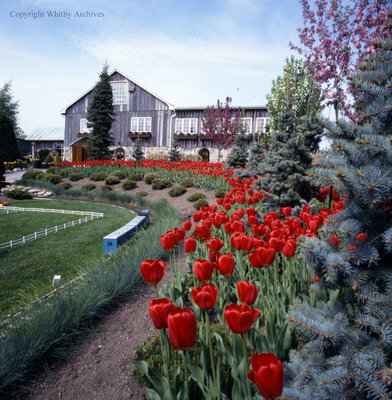 A colour photograph of a tulip garden at Cullen Gardens and Miniature Village. The Restaurant can be seen in the background. Cullen Gardens and Miniature Village, Date Unknown, Photographer Unknown. Whitby Archives A2013_042_064.